What did you forget to turn off today? Get smart with the Starter Bundle at the Kasia Shop or build your own bundle. Experience peace of mind knowing that you will never accidentally leave on a clothes iron, hair curler, or space heater ever again. The first of its kind, an integrated smart home presence system to make your home react to you as you come home and move throughout your house. With the Kasia Presence BLE tags installed in a room, lights and other smart devices can react to your presence and turn on as you enter and off after you leave. Easy control of any four lights or devices using the programmable remote. No need to take out your phone and open the app to turn anything on and off. Easily monitor and control everything from the intuitive Kasia app. As long as you have an internet connection, the Kasia app can work from anywhere. 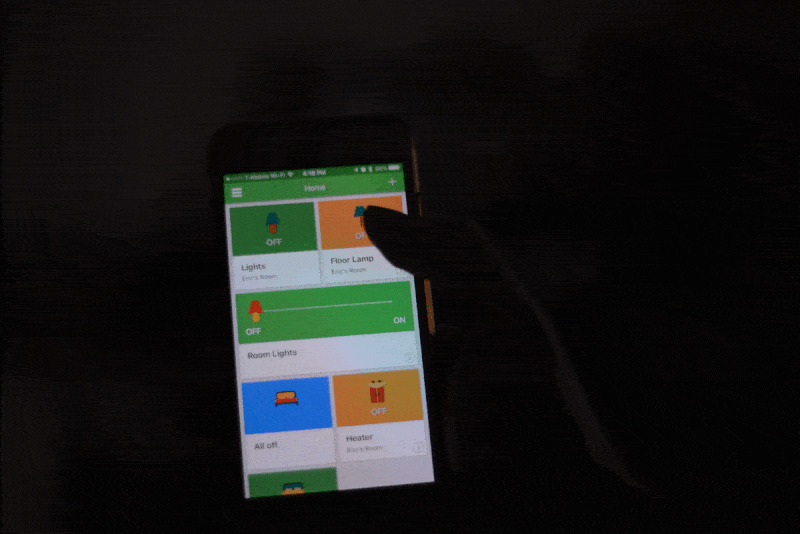 Reduce your energy consumption at home by remotely or locally monitoring and managing your lights & devices with the mobile app, handheld remote, or a computer. Effortlessly monitor what's on in your home and get notifications when lights or outlets are activated. With the intuitive and easy to use app, you can easily setup and control your lights and devices while at home or away. When at home, use the handheld remote to activate devices and make things even easier by leaving your phone in your pocket. You can also easily setup and adjust schedules for lights and devices to turn on & off only when you really need them, or based on sunrise and sunset times. Kasia is the most cost effective solution on the market, allowing users to control more devices at a fraction of the cost. Kasia devices are designed to do what they do best instead of trying to be a clunky all in one solution. This keeps you from buying unneeded functionality.